Mother Corral Carts are designed to handle and transport multiple daughter carts/dollies when being tugged. 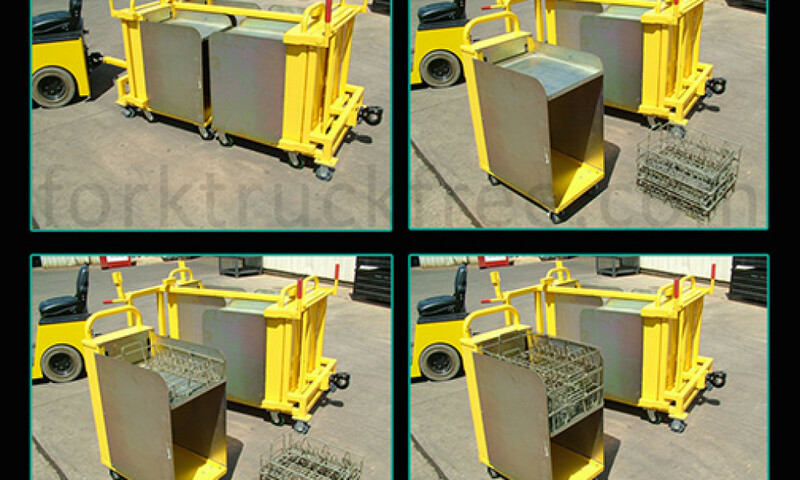 This material handling system of transporting multiple dollies enclosed and secured within the Mother Corral Cart structure was developed to eliminate unnecessary & inefficient handling processes used daily to deliver thousands of parts line side. 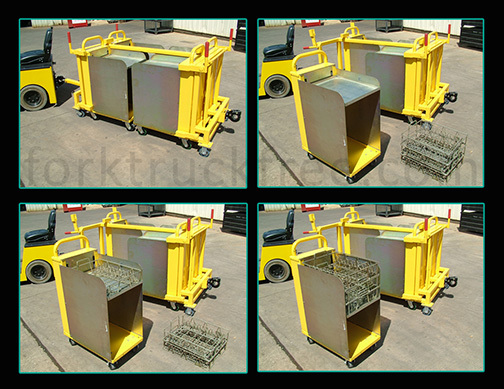 The Mother Corral Carts can have four or more cart/dolly slots and are contained by hinged gates that manually lift open to load or unload the daughter carts. The self-elevating daughter carts/dollies are designed to hold stacks of products or baskets of parts on its self-elevating tray. The tray is spring loaded and counterbalances when weight (product) is added or removed. Therefore, the tray is always at optimum height for line side worker making for a more ergonomic work flow. Check out other examples of innovative Mother/Daughter systems by Topper Industrial here. Previous post Cart Rotate Platform - Modify a static cart into a rotate cart without modifying it at all.